Whenever one of my family members retires we have a party. This last weekend we had a party for my aunt and I was asked to make cupcakes. I scrolled through my cupcake board on Pinterest to find a yummy recipe and decided on Your Cup of Cakes Chocolate Raspberry cupcakes. I'm not a food blogger so while the pictures aren't drool worthy they are authentic and in the moment. 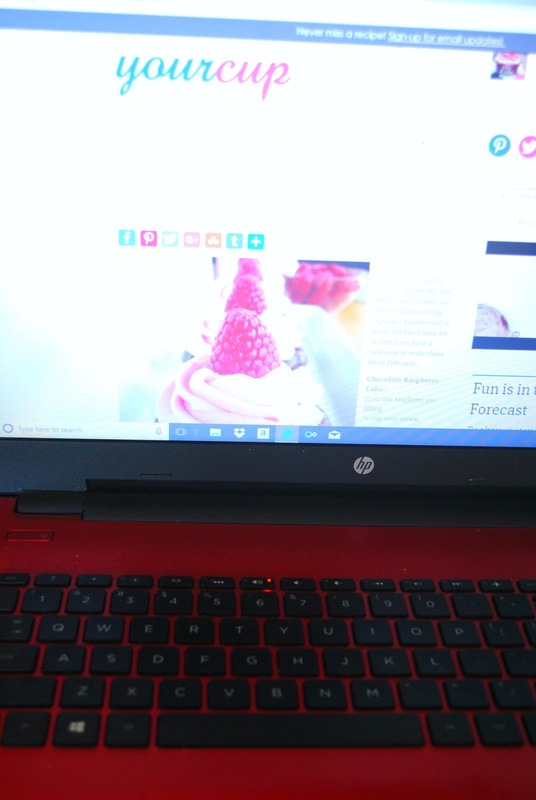 I pulled up the recipe, took the laptop in the kitchen and started baking. The recipe calls for raspberry pie filling which I was sure our grocery store had. But when I went shopping the morning of the party the store didn't have any raspberry pie filling. They had apple, blueberry, peach, and strawberry. 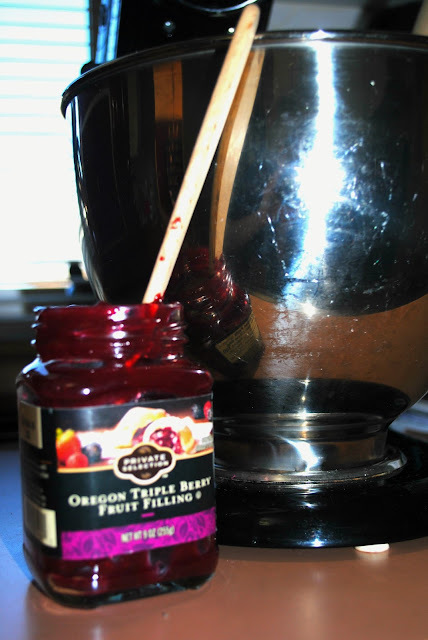 I wasn't going to have time to go to another store so I improvised and used this triple berry fruit filling instead. This was going to be mixed into the cake mix so I figured it would work. And it did. 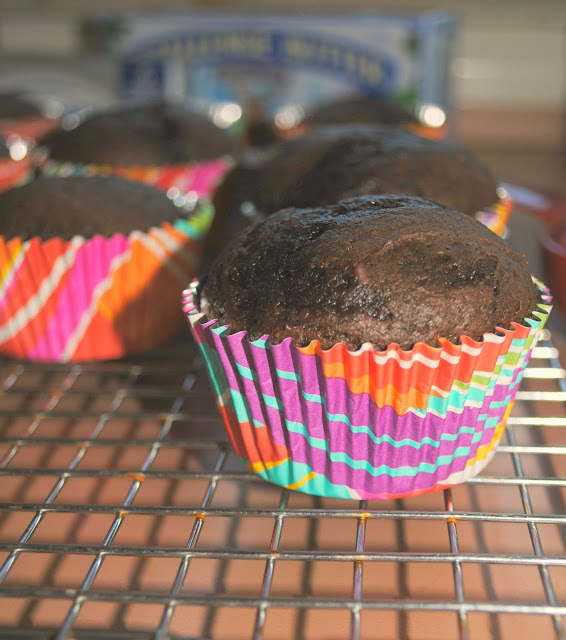 It made the cupcakes so moist. See, food blogger I am not. I was trying to be all artsy with my cupcake ingredient shot but it just doesn't look as good as the food bloggers make it look. Plus, I was taking pics on the fly as I was baking. 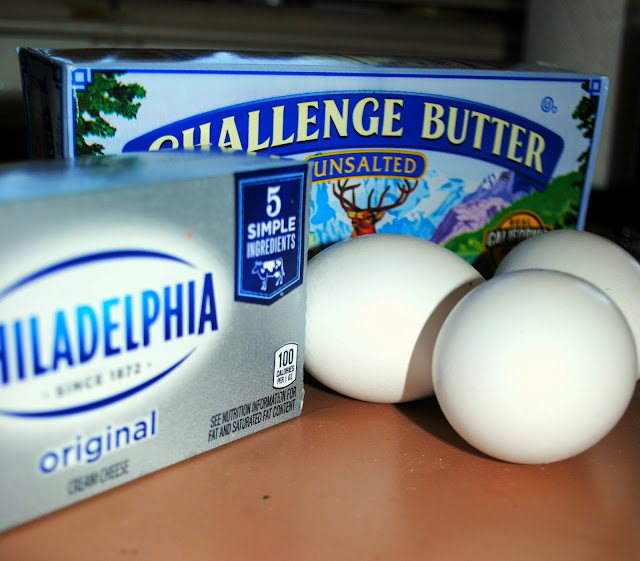 The food bloggers I'm sure set up their shots before they begin baking. 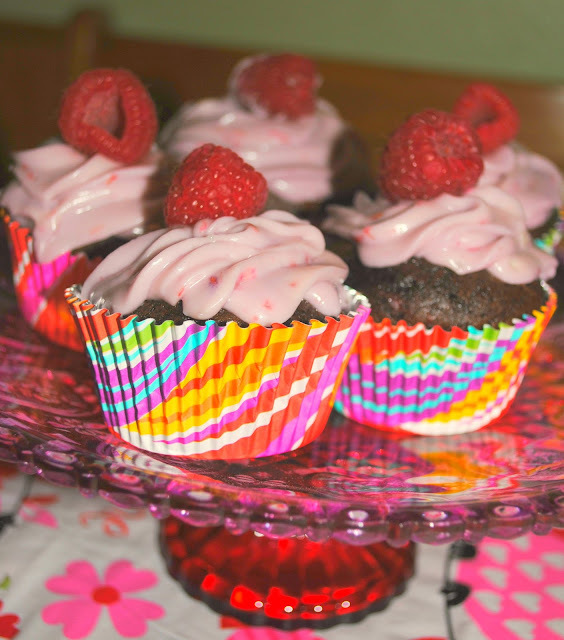 mmmm, the smell of chocolate with a hint of berry filled my kitchen as the cupcakes cooled. You know I had to taste test one before bringing them to the party and they were so moist. This recipe is a keeper. The cake is moist, the frosting is delicious and smooth and the fresh raspberry on top adds that burst of flavor. My cousin went back for seconds. 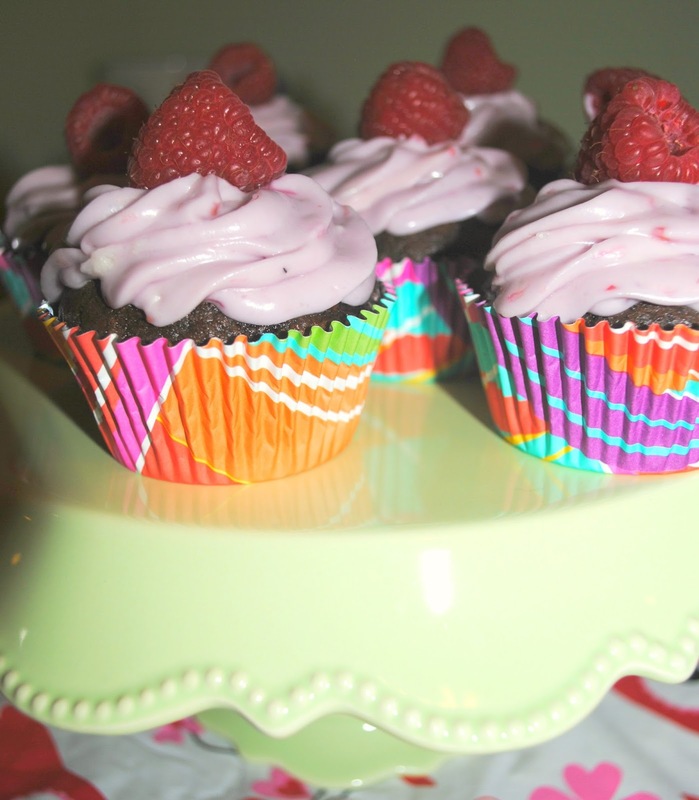 After all, you get 3 servings of fruit in these cupcakes ;) Triple berry in the cake, raspberries in the frosting and a fresh raspberry on top. If you try this recipe I'd love to know what you think in the comments below.